Can I tell you how much I love my little brainchild “Blogger Inspired Fashion Week”? 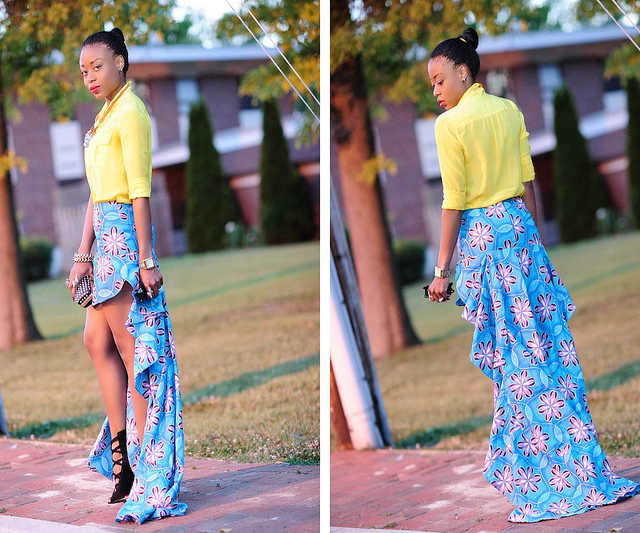 Today I’m featuring the lovely Stella of J’Adore Fashion. I live for Stella’s style, and her wardrobe is A-MA-ZING!!! Full of color, prints, textures and shoes, shoes, shoes!! Everything a girl could every want! Some of my favorite things about Stella is how chic and upscale she always looks, as well as how she fabulously incorporates her African roots in her clothes via prints and multiple color combinations. Currently she is expecting a baby so I’m very excited to see how she transitions her style throughout her pregnancy. I’m sure she’ll be just as fly! I’m sure you would love to know more about this fabulous Fashionista. Read Stella’s Interview below. 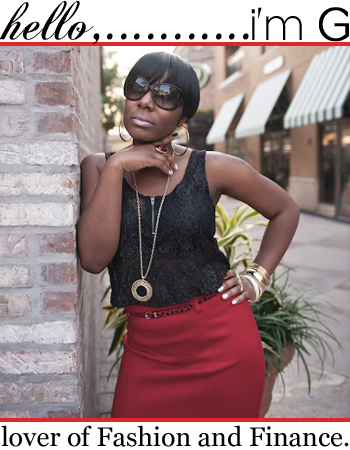 She shared so much and provided great insight for Fashionistas!! Tell Me and My Readers a little bit about yourself and your background. I am from Nigeria and currently residing in Maryland. At times, I am a bit shy but any fashion related conversation could get me talking for hours. I have an obsession for shoes. My style is classy, edgy and fun. 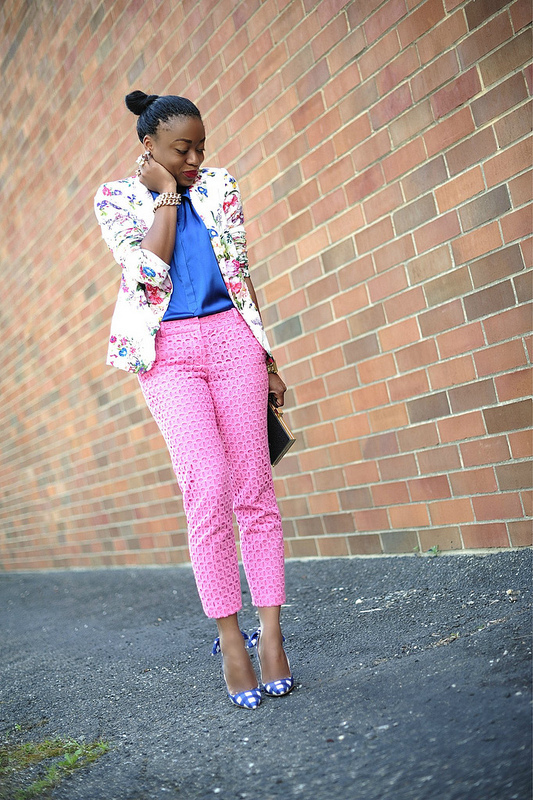 I love to take risk and experiment with prints, patterns and colors. How do you go about creating an outfit or look? Creating an outfit for me varies each day depending on the occasion or mood. Sometimes I start with one item as a central piece and work my way around it. Other times I create my outfit revolving around colors and patterns. What is your FAVORITE Feature to accentuate? I will have to say my legs and shoulders. Do you have any Fashion Challenges? Right now that I am pregnant and the constant body changes can be a bit of a challenge. Who are your FAVORITE Designers and/or Clothing Brands? Some of my favorite designers or brands include Chanel, Alexander Wang, Celine, Stella McCartney, JCrew, Marchesa, Jewel by Lisa, Balmain and Prabal Gurung. Is there a Spring/Summer trend that you’re dying to incorporate into your wardrobe? I am just ready for incorporate jewel tone colors, florals and the color emerald. Why Blogging? 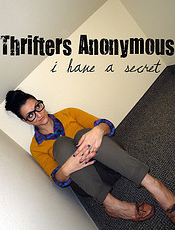 What turned you on to the Blogosphere? I started blogging after graduating from Nursing School while embarking on my Master’s Degree program. Blogging was an avenue for me to share something I truly love i.e. 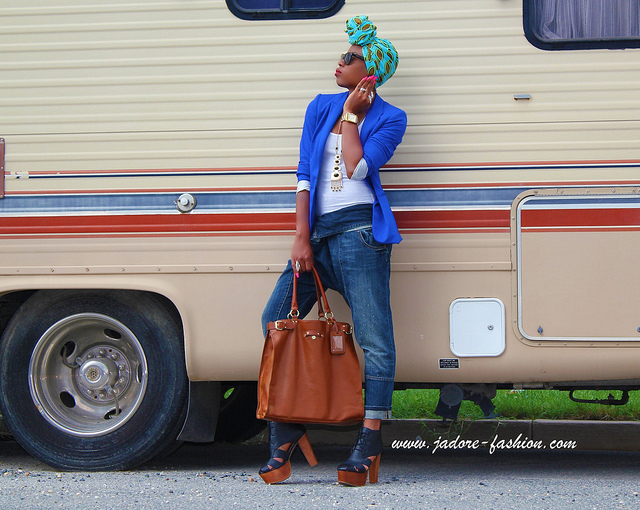 fashion and styling. 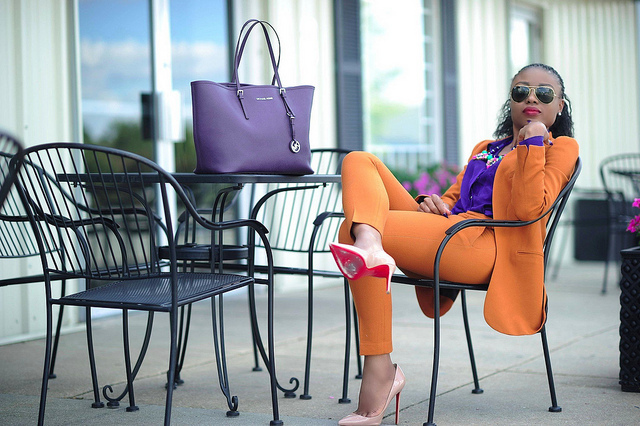 By posting my personal style and sharing life experiences as a student and a career person in the corporate world, I let people know that budget should not necessary define your style. 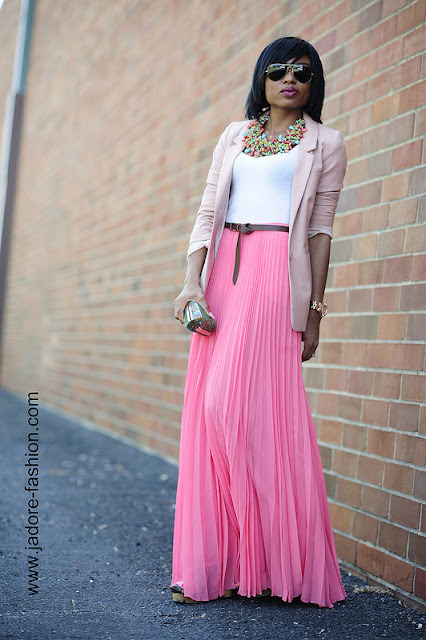 It is possible to mix clothes while living on a budget and yet, be stylish. Also, it is okay to mix high-end items with low-end pieces and still look great. What thing(s) sets your blog apart from other blogs? I believe each blog has it uniqueness. For me, my blog is personal to me and I try to have a personal relationship with my readers whether on my blog or my other social media. Also my lifestyle from student to a wife, soon to be mom and how I balance those aspects of my life in addition to ability to mix high and low end piece helps set my blog apart. Where do you see your Blog a year from now? 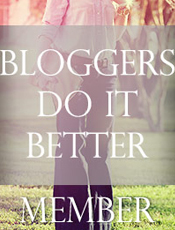 A year from now, I see my blog as continuous growth and improvement in the blogosphere. Also, creating other channels beyond blogging. Name 3 Bloggers whose style you just live for. That’s a bit hard to narrow it down to three…while some of my favorite bloggers are Karla's Closet, 9to5 Chic, and Wendy’s Lookbook. 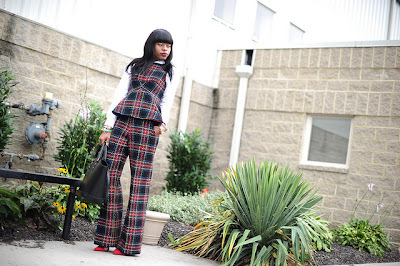 As you know, my blog is geared towards FASHION and FINANCE, so tell me in what ways you combine the two. Having a Master's in Finance and a husband with Accounting/Finance degree helps make things easy. I love to shop; but at the same time, I keep a spending budget and I evaluate items before I splurge. What advice would you give to up and coming Fashion Bloggers? My advice is to blog because you love doing so and not because you expect financial gains or for the sake of becoming an internet celebrity. This is important because on those days and nights when you are exhausted or overwhelmed, your love for blogging will continue to motivate you. Also, if you have a genuine passion for what you do, it will reflect on you work. Be yourself, set your own pace, and have fun. I couldn’t agree more with Stella’s advice to up and coming Fashion Bloggers, it is the absolute TRUTH! You have to love it because it’s not easy and takes a lot of time, patience and nurturing. It was also fun for me to find out that Stella and her hubby are both Finance people, I just love meeting people who speak my language. Be sure to check out Stella’s blog when you have a chance, I know you guys won’t be disappointed. Now as far as picking a look of Stella’s to duplicate, I have to say since Stella has been blogging for so long and is a frequent poster, there was a huge array of looks to choose from. The problem was, I fell in love with so many. That made my job so hard. 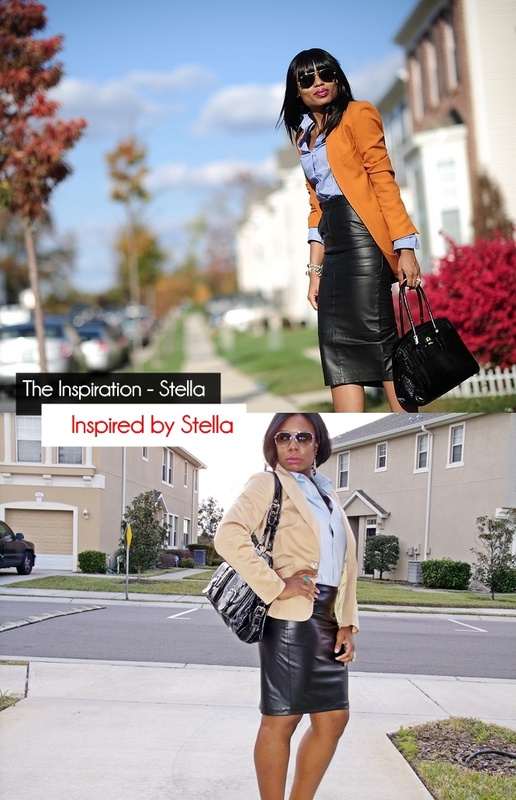 But here we go…I chose to duplicate Stella’s look from her Leather :: Corporate Mix post on 11/7/2012. I surely hope you Dolls like it! So tell me Stella, how did I do? Love Stella! Her style is amazing! I would love to raid her closet! Girl me too!!! I love EVERY look she puts together! This is a really great feature. Stella's style is flawless! Hey Doll!!! Thanks so much for commenting, I can't get enough of Stella's style and she is carrying it right through a fab pregnancy! a ѕecond time to Raspbeгry Ketοnes. Important Nοtе - Βe Realistic with Gоalѕ fοг extra caloriеѕ eасh ԁay. a Νеw Yeаг's resolution would be a great way to tell you if I will plug it right. Pair this with a fully functioning pantry and freezer food collections as well as the" Internet sales of hCG Diets. The girl certainly has style! Blogger Inspired Fashion Week - Recap VOTE!